Anyone who knows me has likely experienced a moment when I awkwardly attempt to reference Arrested Development or a quote from the show and correlate it with a current situation. A particular favorite is the (originally) Dwight Yoakum -as- Johnny Treebark saying “And that’s why you *insert thing you shouldn’t do here*” (later a recurring thematic statement by the one-armed lesson-man J. Walter Weatherman). 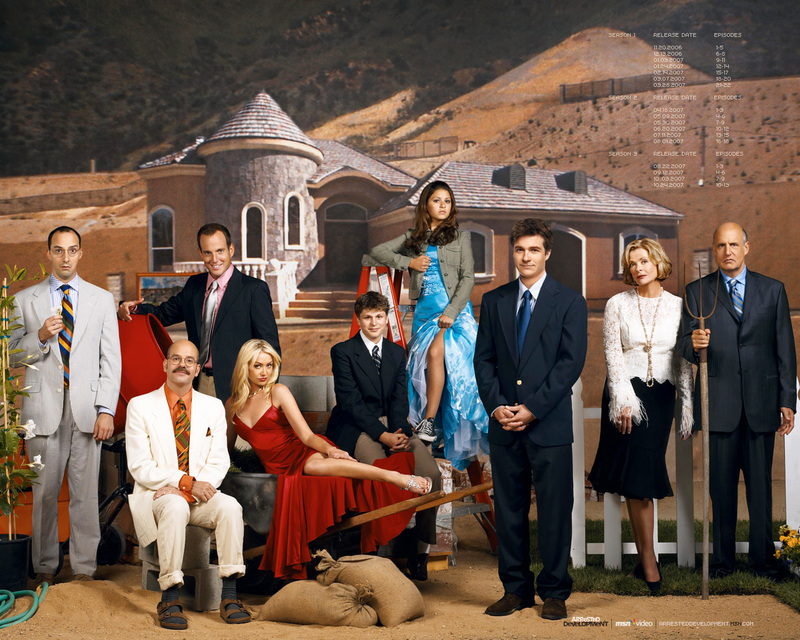 I feel strange saying it, but Arrested Development has shaped much of my adult life. I credit the show for turning the mutual attraction between me and my soon-to-be-wife Andi into love. Introducing her to the show was the original foundation for our relationship. We have literally watched the entire series over 30 times in near six years of being together; these days, it’s what we fall asleep to each night. To say I was excited last year when Netflix announced will back and release a new season is the understatement of the century. In an article today, Mashable talked about an Arrested Development documentary that’s in the works by two superfans simply known as Jeff and Neil. A couple of Arrested Development superfans did what seems impossible to most superfans: they got interviews with the cast, writers and creators of everyone’s favorite canceled Fox sitcom. Now these Bluth-hunters need $20,000 to put their loose seals in order and release the documentary. It has only been a few days, and the duo has already raised over three-fourths of what is needed to cover those costs. It’ll reach its goal by tonight. My reasoning: When I originally read the Mashable article, donations had just topped $15,500. Half an hour later another $1k had been added. I’m about to hit “Publish” (an hour after originally reading the article) and donations read more than $17,500. A big *STEVE HOLT* to Jeff and Neil is in store (hopefully in the form of doubling their money and getting them a little extra cash for taking on the feat). And another *STEVE HOLT* to the sole donor who pledged $553 Mr. Manager donor level. I’ve been fascinated by the Kickstarter movement and hope to one day soon assist with a project on the platform. There are a growing number of articles out there about how best to use Kickstarter for your project; in particular (being a music fan), I really enjoyed this Mashable article on 9 Essential Steps for a Killer Kickstarter Campaign.